Roses are one of my favorite things to grow. I am often asked for information and tips for growing roses, especially with the hot and humid conditions here in Florida. 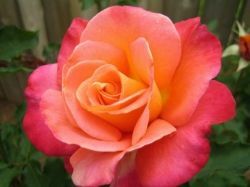 Whether you are a beginner in rose gardening or looking for useful tips on how to grow roses then you have come to the right place. Here you will find tips for growing roses, including propagation, fertilization, pruning and the infamous Black Spot. These tips for growing roses will teach you how to grow beautiful roses with bigger blooms, how to care for them and how to keep them looking beautiful from spring to fall. When planting new roses always add a handful of bone meal to the hole and mix it in with the soil before planting your rose. Bone meal is a great source of phosphorus and will encourage a healthy root system which, in return, will give you a healthy, flourishing rose bush. Roses need at least 6 hours of sun each day. 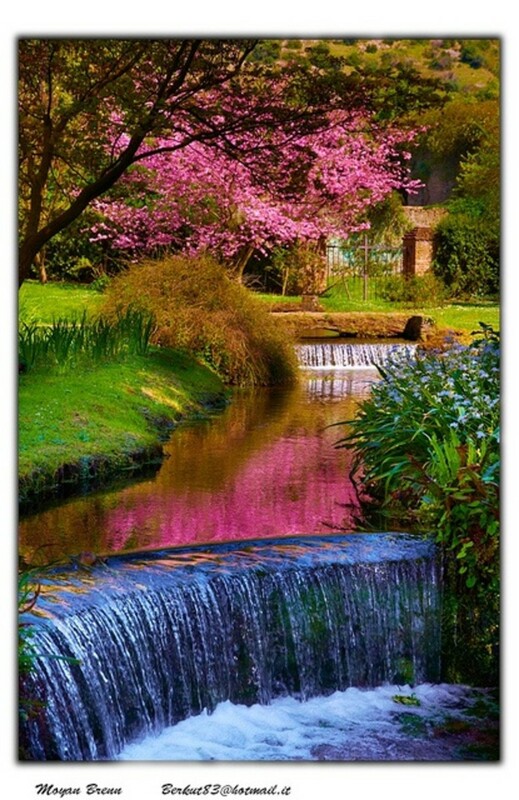 Providing a minimum of 6 hours will insure proper growth, beautiful foliage and abundant blooms. Morning sun is preferred but not required as long as they get a full 6 hours. 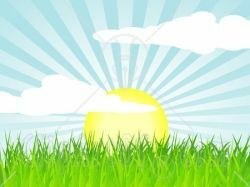 Less than 6 hours of sun a day can cause decreased blooms, poor foliage and poor growth. Roses need to be watered often. Water your roses 2 to 3 times a week for a total of 2 inches of water weekly. You can water less on weeks where Mother Nature has provided you with much appreciated rain. Be sure to water deep so that the water reaches the deeply planted root system. Always water roses from the bottom of the bush! This is very important to avoid spreading diseases and fungi such as black spot. Black spot will spread rapidly after just one watering from the top of the plant. The spores will spread through the water and also splash onto other roses causing a disastrous mess! Prune Roses the Right Way! It is important to prune a rose bush the proper way to encourage new growth and maintain a healthy plant. Always cut spent blooms as soon as they whither and remove any dead, diseased or damaged canes as they occur. How to Prune Roses is filled with information on pruning roses the proper way to insure a healthy rose bush and encourage new growth. Roses can be propagated by cuttings or seeds. Propagating roses by cuttings is the only way to get the exact rose you want. You can take cuttings from your favorite rose and root them yourself with the proper techniques. To learn more about propagating roses from cuttings visit How to Grow Roses from Cuttings. Another valuable tip for growing roses is to mulch around your roses. Mulching around roses helps retain moisture, prevent diseases, prevent weeds and protect the root system. Place a 4 to 6 inch layer of mulch around the base of your plants using wood mulch, pine straw, compost, pine nuggets or shredded leaves. 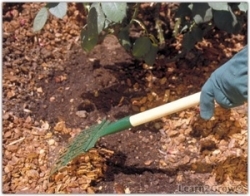 Not only will the mulch protect your plants, it will also breakdown and provide great nutrients for your rose bushes. The Internet is full of useful information but not all of it is accurate. Find yourself a rose guide to go by. They are handy, useful and can go right in the garden with you. Roses for Dummies... The perfect guide for growing roses! Includes even the most basic knowledge that a beginner may not know. Sometimes those expensive rose books have great ideas but either you aren't familiar with the terms or they can be a few steps ahead of you and cause you to misunderstand the most important information. Roses need to be planted in a well-draining soil. It is important to use proper drainage to prevent root rot. If you are planting your roses in an area with compacted soil you will need to till the area well or remove an area of about 2 feet round and 2 feet deep. Using the dirt taken from the hole mix in equal parts of perlite and sphagnum peat moss. This will improve the soils texture and drainage, as well as provide important nutrients. If you have poor draining soil or a hard, clay based soil you might consider using raised beds. This will allow you to use optimal soil choices such as compost and gardening soil and insure proper drainage for a healthy rose garden. 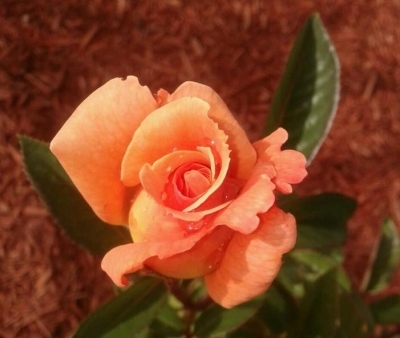 Here are a few of my favorite Hybrid Teas I have found on eBay. I, myself, have purchased a few roses on eBay and sold hundreds. 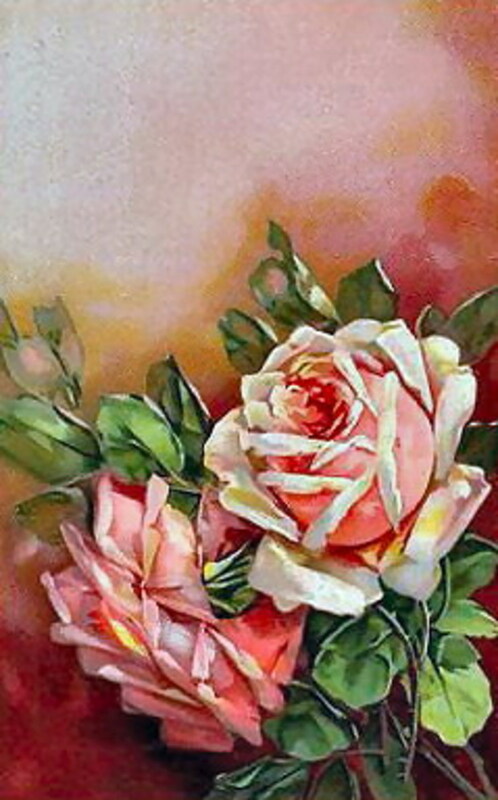 You can find rare roses with reasonable prices on eBay. One of the most overlooked problem with growing roses is the lack of airflow. When planting roses always leave at least 2 to 3 feet of space between the roses to create enough space for air flow. A lack of air flow will cause wilting and provide the perfect breeding grounds for diseases. When planting smaller roses it is you can two roses close together. They may require extra pruning to thing them out if they start to get too bushy. Any more than two bushes with in the required space will cause insufficient airflow and roses to become root bound. The best way to prevent Black Spot is to treat it before it happens. Black Spot is a nightmare for many rose growers and causes black spots and yellowing of the foliage. 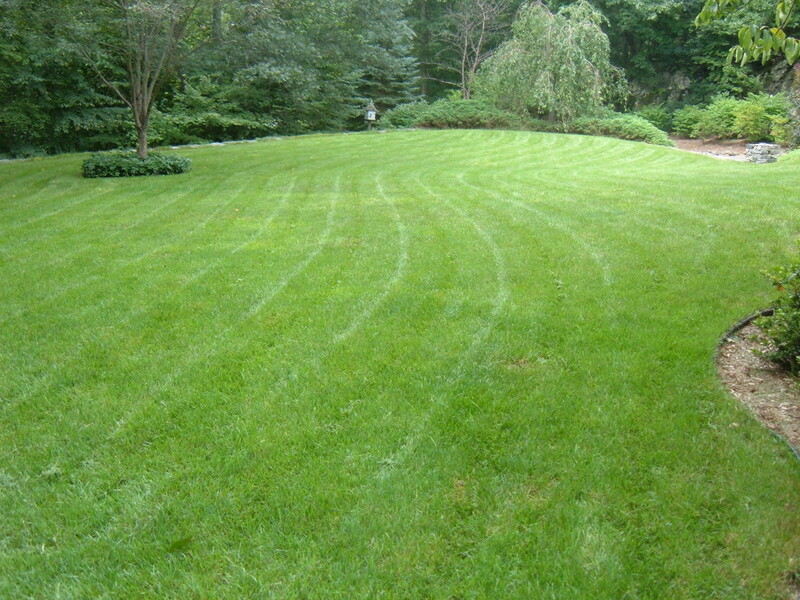 Black Spot can be treated and prevented by using a mixture of 1 teaspoon of Baking Soda mixed in 1 quart of water. Spray the roses with a spray bottle until they are dripping with the solution. Spray the under side of the leaves and the soil around the rose. Prior to spraying, remove ALL traces of Black Spot including canes, leaves and stems that have signs of Black Spot. Put them in a bag, seal them up, and toss them out. Do not leave them lying around the yard or it will come right back. Black Spot is an airborne fungus and all sources need to be removed from the area. If your neighbors have Black Spot your roses will catch it! Another reason to treat before you see signs of it. You could always share the recipe with your neighbors as wel,l and offer to help clean the Black Spot up. Not only will you be doing a good deed but you will also be saving yourself the risk of catching Black Spot! How do you grow your roses? What is your favorite rose? Do you have special tips for growing roses? Share them here for everyone to use! 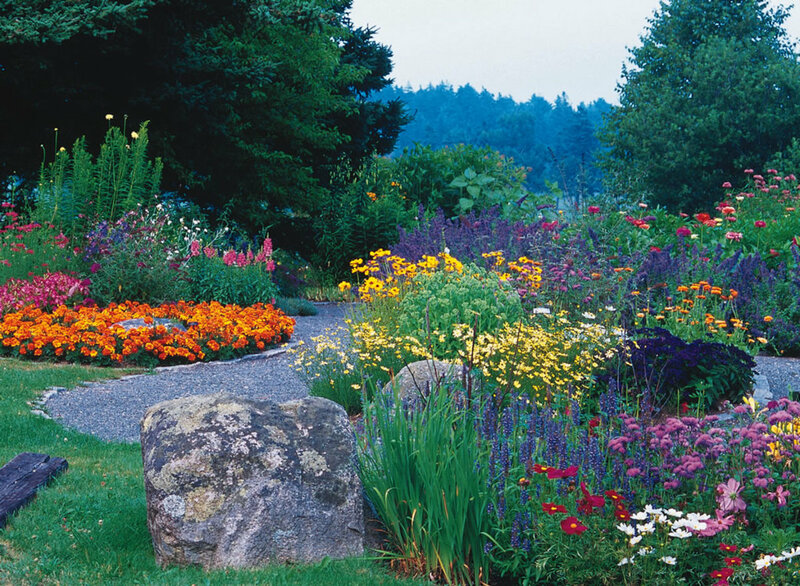 Expert tips for growing a great garden? What are your thoughts and ideas on growing roses? Beautiful roses and great tips! I shared your lens on our G+ page today. I am seeing a tiny hint of green when the bud is closed. I ordered it from ebay as Green Romantica last year. I love that rose. @anonymous: Green Romantica is a yellowish-lime green color. The sun can fade the petals making it even more yellow. Now there is a Yellow Romantica as well. If yours is bright yellow then it's the Sunny Romantica and there must have been a label mishap. If it is even slightly lime green colored then you have the right one. 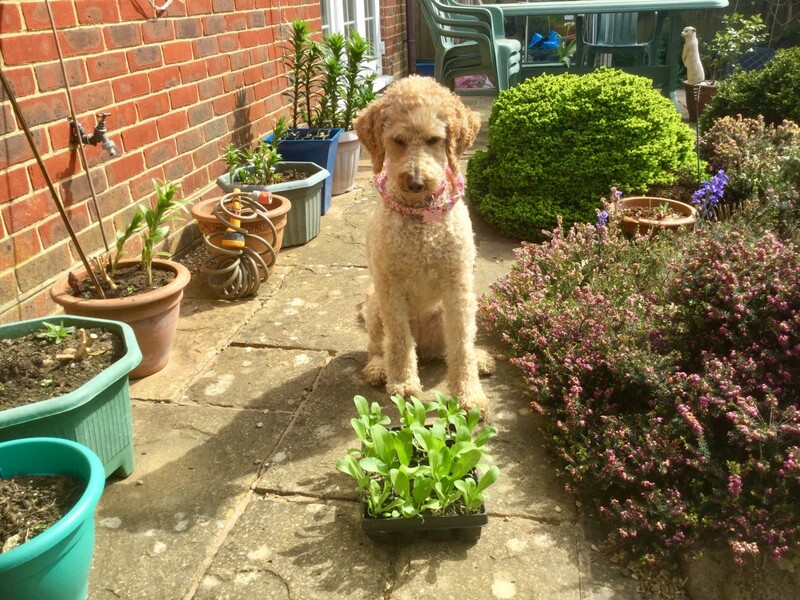 The same plant, can be propagated by cuttings and will be the same as the parent but the blooms can vary a tiny bit. @SoSimplyStephanie: O, thanks for your answer! @Ayluna: Ayluna, rosa rugosa are very hardy can grow just about anywhere. They are considered wild in some countries and can tolerate neglect and neglect. They are very thorny with tiny thorns. They will also set rose hips very easily and if you let the rose hips turn red and then pick them, you can get the seeds out the center and plant them. They will need to be stratified in the fridge for a few months but it's easier to plant them in a pot and leave it out all winter and they will sprout the next spring. I have a few of them that I tried to plant but didn't stratify them. They never sprouted and I poured the pots of soil around my fig tree....the next spring I had nearly 100 roses...They are not hybrids so their seeds will grow true to the parent. My children want to grow some roses, so I'll look back at this when we plant them. :-) I want to plant some rosa rugosa - do you know them? Are the instructions the same for them?